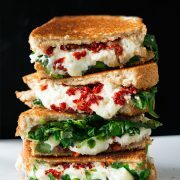 A healthier grilled cheese, say what!? Can those three words even go together? 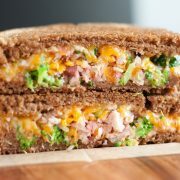 This sandwich is amazing! 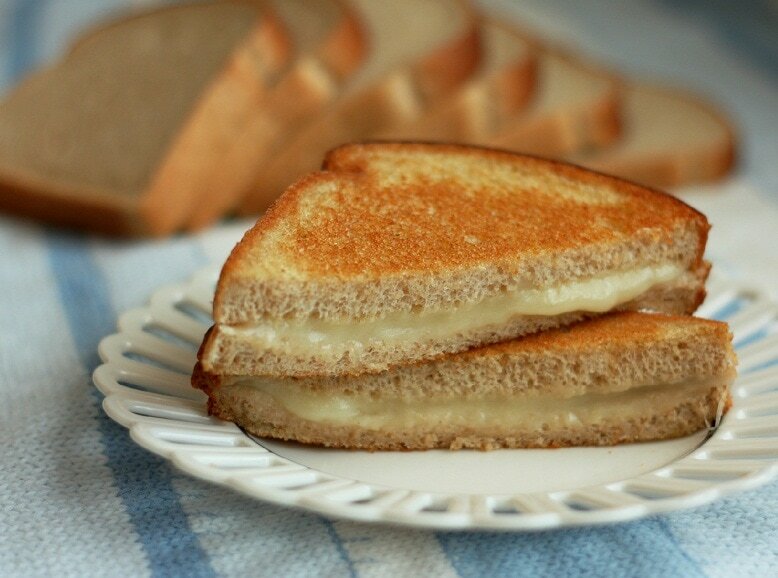 Anyone who is a fan of grilled cheese (or not) I suggest you convert to this method. You won’t regret it. In my opinion this tastes even better than the original version that’s slathered in butter. You get more flavor and you feel better about eating it. This is obviously just a recipe for your basic grilled cheese but there are so many variations you can add to this recipe. You could add in tomatoes or spinach, or your favorite herbs and seasonings or you can just keep it basic like this. 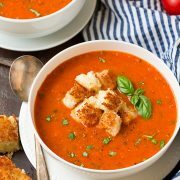 Try this recipe out today and it’s likely you will become converted to this method, like I have, for life. Your heart will thank you later =). Also, keep in mind you can use your favorite cheese but for a lower calorie, less fat cheese Mozzarella may be your better option. 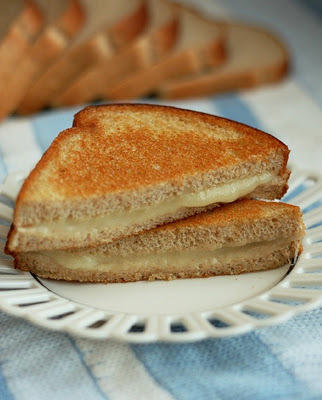 Grilled cheese made healthier with whole wheat bread instead of white bread and olive oil instead of butter. Preheat a small nonstick fry pan over medium low heat. Place cheese slices (enough to cover bread) between 2 slices of wheat bread. Once fry pan is warm drizzle with 1 teaspoon extra virgin olive oil, slightly tilt pan back and forth to evenly spread oil. Place sandwich in oil, cover with a lid and cook until bottom is golden, about 2 minutes. Then lift sandwich with a spatula an add remaining 1 tsp olive oil to fry pan. Flip sandwich and cook opposite side until golden. Serve immediately.